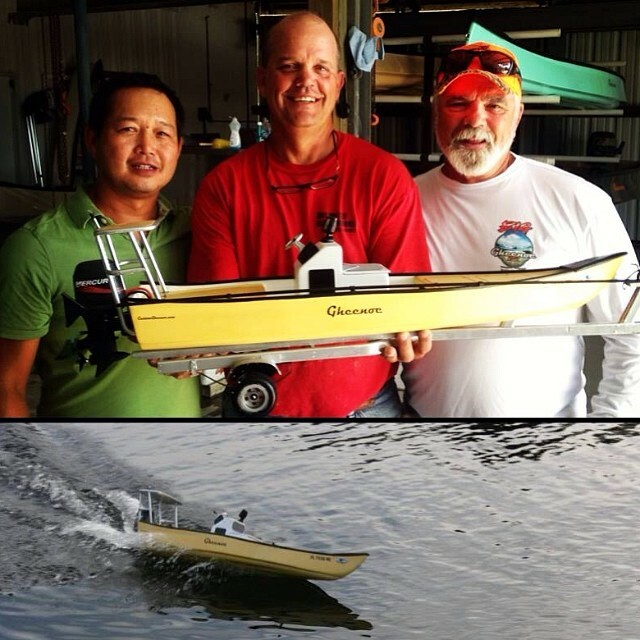 ➔ Skiff Life says: World’s SKINNIEST running Gheenoe LT25 Nice work, Mitch Mitch debuted this awesome radio controlled replica at the Annual Gheenoe Rally in Jensen Beach. Pictured: Mitch (Left, Builder) Pugar Gheen (Middle, Custom Gheenoe) Sam Heaton (Right) Check out the website for the full video. Look at the rooster tail on that thing!